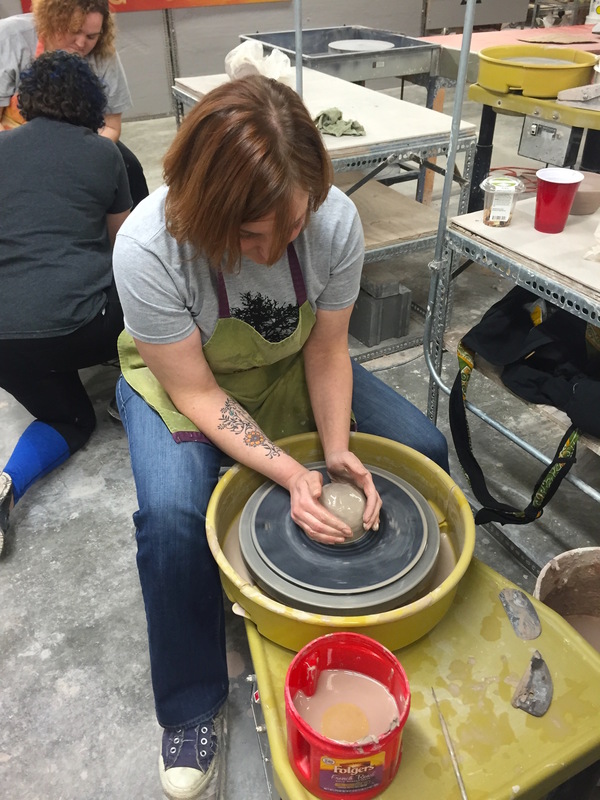 Queen City Clay (formerly Funke Fired Arts) in Hyde Park – Go There. Try That. As my blog motto states, I prefer experiences over material things. I’d rather get and give experiences rather than material items. This post is a perfect example. For Christmas, I decided to gift some of my closest friends an experience where we could all be together doing something fun and new. 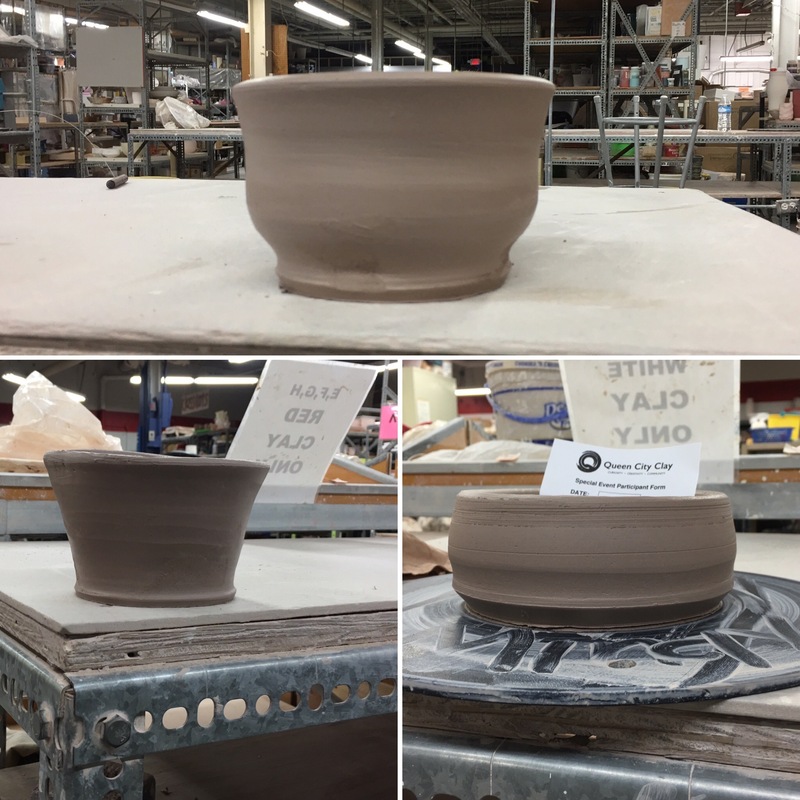 I bought us each a seat at an Open Wheel class hosted on Saturday evenings by Queen City Clay. I’ve always wanted to try the wheel. Before you even think it- yes, I knew it wouldn’t be anything like the scene in Ghost with Demi Moore and Patrick Swayze!! But I love the idea of taking mere clay and shaping it into something beautiful, original, and often useful. I’ve been an avid pottery fan for quite some time. Every students get their own wheel. 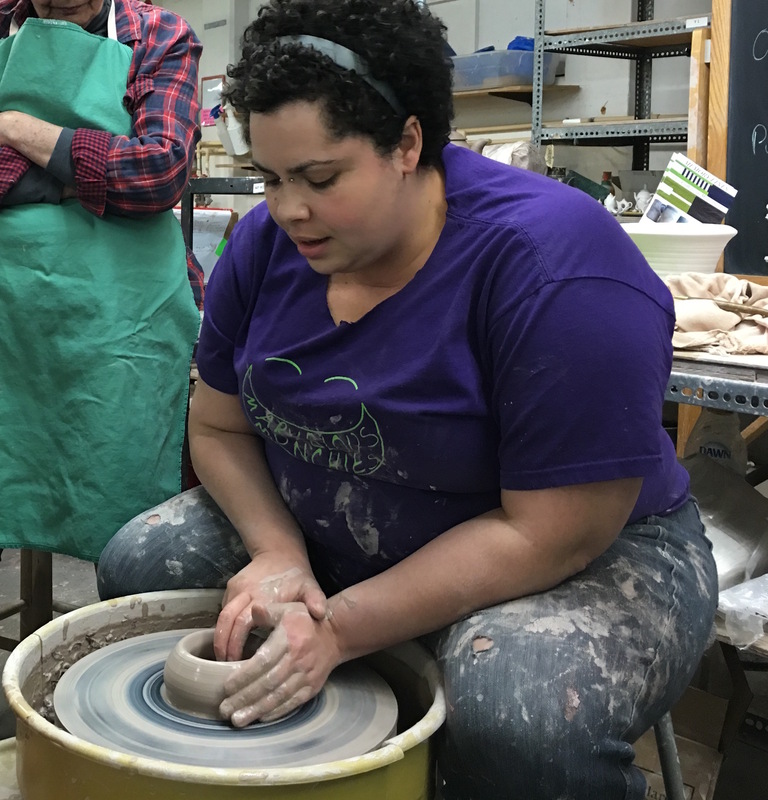 The Open Wheel Workshop at Queen City Clay in Hyde Park guarantees everyone gets to work a wheel and everyone leaves with something original. And, if you create more than one piece in the two hour time frame, and you like it, you can purchase it for an additional $5.00. Not a bad deal at all. Some of our original pieces before glazing. 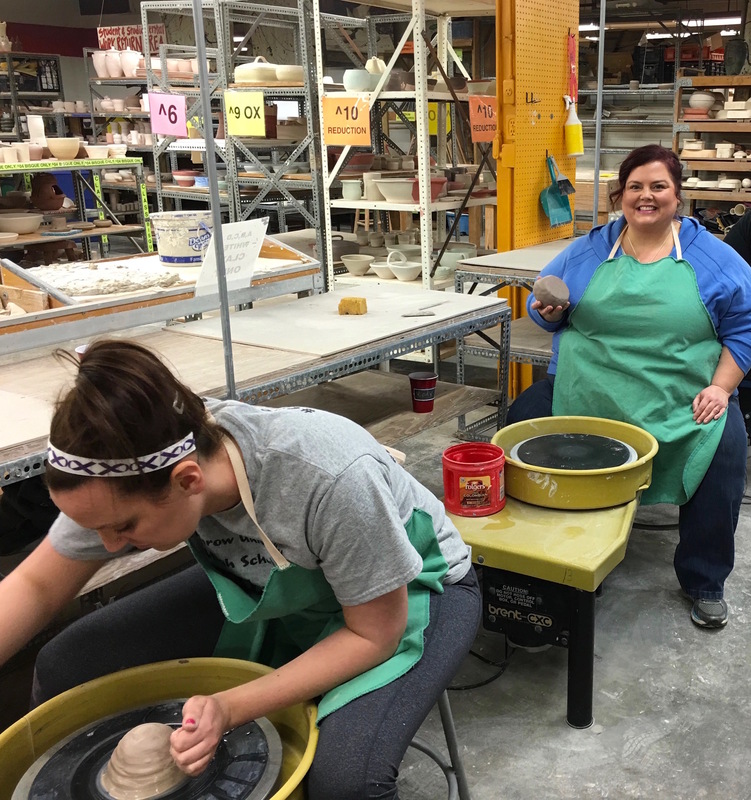 What really impressed us about our time at Queen City Clay is how great the instructors are. Each step in the process is broken down into small steps. Instructor teaches a step, student goes back to the wheel and completes it. While at the wheel instructors walk around to see who needs help. The class sizes are fairly small so waiting for help is never an issue. These ladies are encouraging and always praising your efforts. Thankfully! Because some of us needed a lot of help. 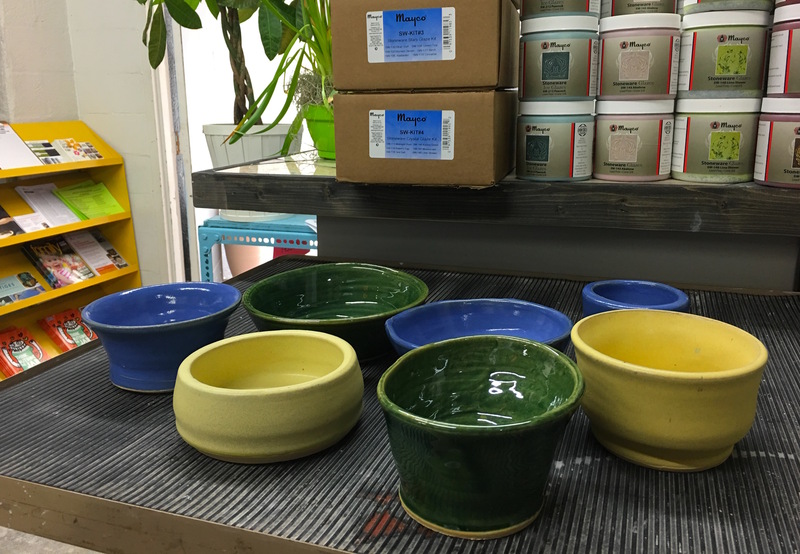 Once the piece, typically a bowl or vase, is finished, the next step is to pick from three glazes: green, blue, and yellow. Queen City will glaze and fire- then call when it’s finished. 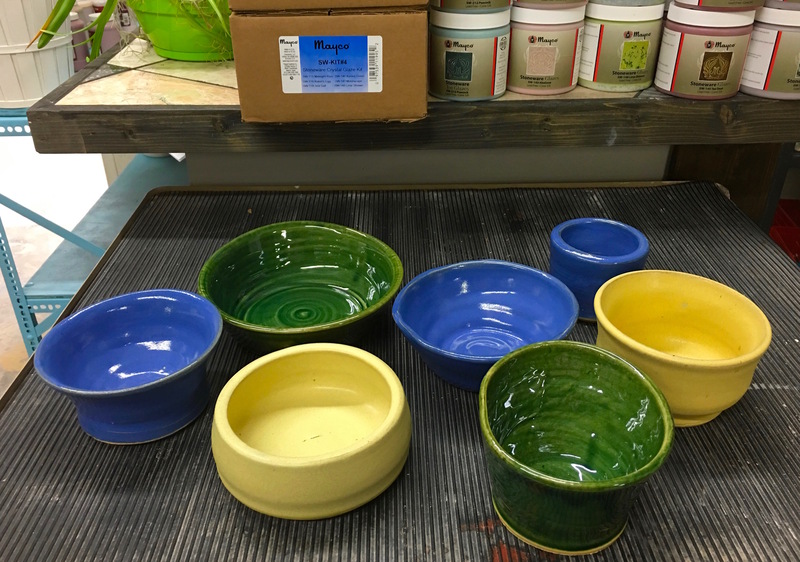 Note that the green and blue glazes are brighter and shinier while the yellow is matte and earthy. All originals! Not bad for first timers. Queen City Clay is a working studio- in fact, I think it’s the largest work space open to the public! Artists are painting and sculpting while the class is going on. It’s inspiring. Although, I think one artist or two might have gotten a kick out of our craziness! Overall, I’d say this is a great group present. (Mindy proceeds to pat her own back). This would also be a great girls night out or couples date. Bring along wine for an extra special evening! I have a new appreciation for just how hard working the wheel is and I would absolutely go again! 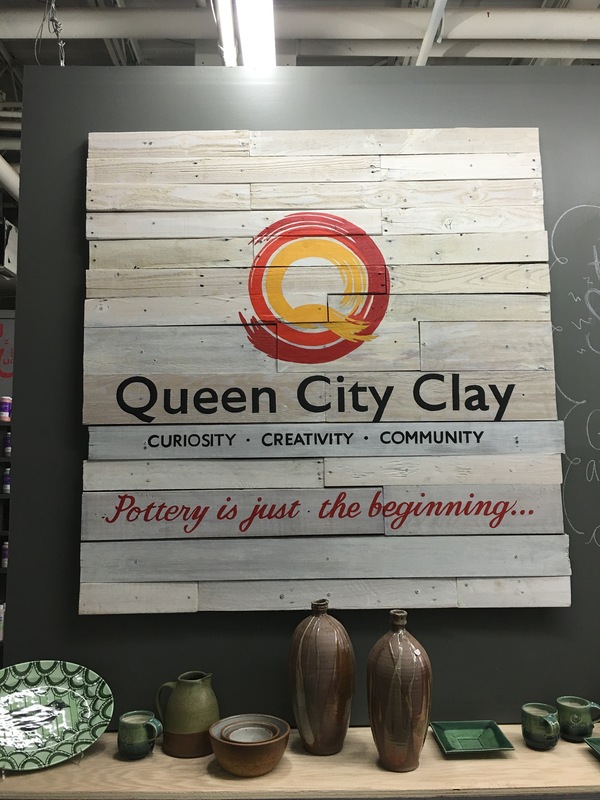 GO THERE (Queen City Clay)! TRY THAT (Open Wheel Session)! SuperChef's: Breakfast Art in Columbus One year blog anniversary! Cool Classes to Cure the Winter Blues (and a giveaway) – Go There. Try That.